home Gossip How to Improve your mood ? How to Improve your mood ? Whenever you are depressed because of something or some situation and they are badly hitting your mind and senses time and again. And, that depression will lead us to anger, sadness, fear and lots of emotional breakdowns which ultimately will drown your mood. So it’s necessary to have a good mood to start your day which helps to build your confidence, raise your enthusiasm, develop creativity within yourself and happiness whole day whether you are at office or home or in gatherings. If you are not in good mood then you will surely feel heavy and pointless every single day. For improving your mood you need to get this thing in your mind and that is “Live in Present Moment, Be Happy Now”. So, we also need to think once which things are drowning our mood and think about how to overcome and improve your mood by your side. As, every people have different feelings and different perceptions regarding different situation and capability to cope up with their problems but as if your are searching for some suggestion to improve your mood then I am here with 10 such ways which can delight your mood within just few minutes. Here, I am with 10 ways to improve your mood which can help you to overcome through all your depressions, and all other those problems that are drowning your mood. Listen to Music: Music can be the better option for you to improve your mood which takes you to a mental journey and makes you feel less alone. Many of studies have found that listening to music can be very helpful for your health problems as well. 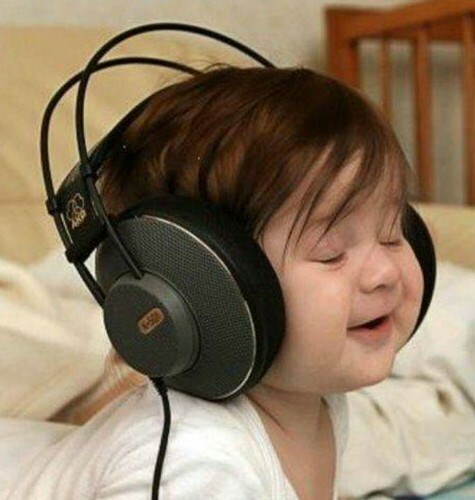 Hearing music can help you to boost up your mood, lower your blood pressure and also works as stress reducing. Go for a walk: Walking is also one of the ways to improve your mood which helps to clear your mind and divert your mind to the outer world from all your problems. Walking at a scenic location will be more effective. Write: This is the option which I follow usually. When you feel sad, may be you won’t be able to share your feelings with other people ore won’t be able to express what you are going through. So, it will be the best if are the one who can’t express and share all your emotions. If you will write those things and pour your emotions on the paper through your pen then you will feel free and relax. Take a nap: Sometimes, we get tiered of things running out in our life and take a huge burden of tension over our head. So, sleep in necessary to delight your day with good mood which can be possible if you follow the chant “Early to Bed, Early to rise”. And sometime, you may need some energy to recharge your mind and body which can be done by taking a nap. Have a conversation with someone: You can also reach to someone who you think is understanding & loving and pour your emotions in front of them, share your feelings, your fear, everything than close your feelings in your heart and mind then I can assure you, you will surely feel better and your mood will also get better. Cry: If you are depressed, sad or tensed then your heart will be very heavy which burst out with lots of emotional breakdowns. So, if you want to cry then you can cry louder to burst out your emotions and to release yourself from pain. Hug someone: Hugging someone you are close to or the person whom you love the most is also an awesome idea to improve your mood. Meditate: One of the best ways to improve your mood is meditation. You can meditate once in a day at least for 20 minutes. If you are not used to with meditation then you can just sit with a calm mind and silent environment. Take a deep breath: You can try out some breathing exercise to improve your mood which helps to calm down all your emotions and balance your breath and anxieties. Cultivate gratitude: Practice of gratitude can be developed if we are not aware about that because practicing gratitude can help us to heal a lot of problems in our life. Likewise, we can improve our mood and make our day happy and delighted. Have a nice time ahead. Is hookah smoking safer than cigarette smoking?